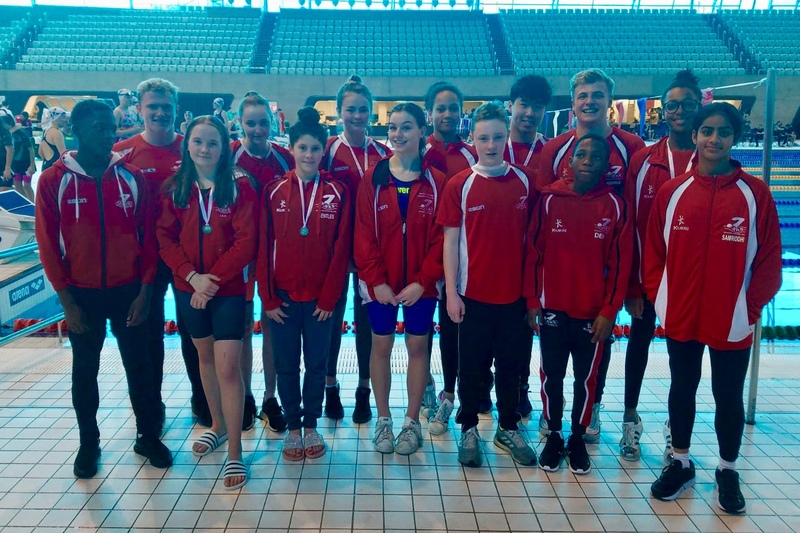 Following the heat swims in the 50m backstroke on Day 1, Eva Okaro started her championships with a victory in the 13 yr girls 50m Backstroke – 3 other Sevenoaks swimmers also qualifying for the final. Amelia Childs achieved a strong 2nd place in the 15 yr finals. In the finals of the 50m freestyle, Alyze Gentles took a well deserved silver medal in the 12yrs, whilst there was a clean sweep in the 13yrs with Eva Okaro in 1st, Isabella Okaro in 2nd and Samriddhi Das in 3rd. Finally in the 16yrs age group, and after a week of GCSE mocks, Zoë Naylor-Perrott finished strongly to claim the bronze. 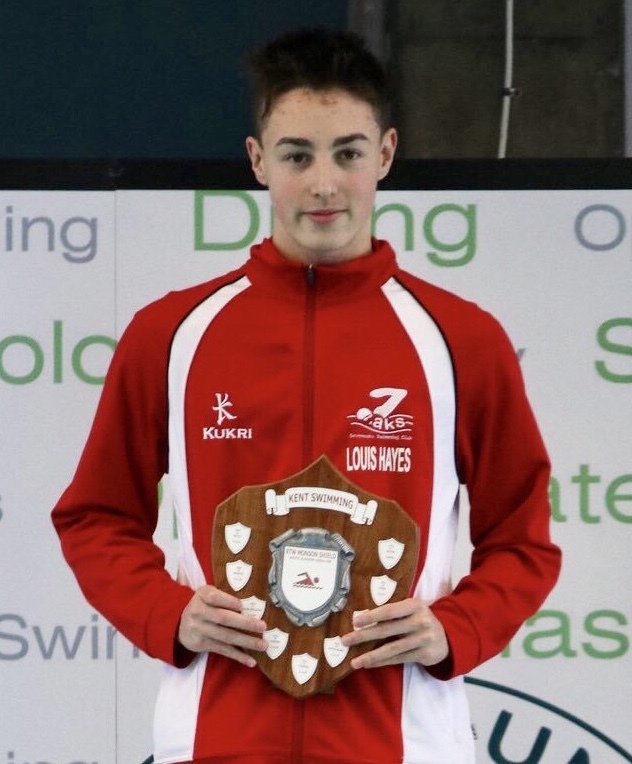 In the 50m butterfly, Louis Hayes and Aiden McMillan both stormed to victory in their respective 15 & 16 yrs finals, with McMillan also claiming the 16/u Junior Shield. In the 10/11 yrs final, Devon Tannock secured a gutsy bronze. In the next boys events, the 50m Breaststroke, Devon secured another bronze medal whilst in the 12 yr category Demi Alli stepped up to take a well deserved gold. In the 13yrs final, Sam Martin-Young secured a fantastic silver medal whilst in the 15 yrs age group, Louis Hayes climbed the podium again, this time taking silver and was joined by team mate Jacob Hudson who finished 3rd after a nail-biting finale. Oliver Coote won a spectacular bronze medal in the 16yr old also having raced after a gruelling week of mocks! The loudest roar of the first day came after club captain George Tyler secured a well-deserved and surprising bronze medal in the 17 and over category.